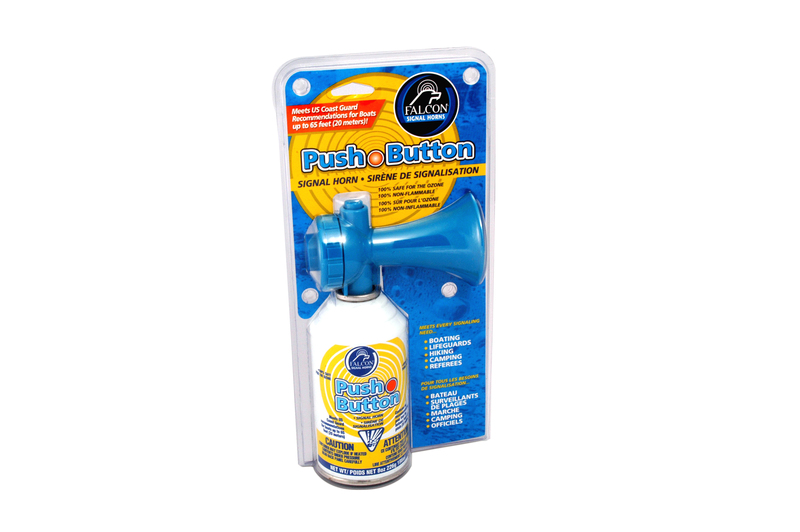 The Lightweight, Portable, Long-Lasting Safety Horn. Built for long-lasting reliability - totally independent of any other power source. POWERFUL! Delivers a piercing 120dB blast at 10 feet. EASY! Convenient push-button operation. UNBREAKABLE! Guaranteed durable high-impact trumpet. The portable Mighty Sonic is 100% ozone-safe and non-flammable!